Update made to post added towards end of entry. On Wednesday, the 49ers announced that they would unveil a new alternate uniform during the draft. Ladies and gentleman, here it is via their new Snapchat. After some speculation on Wednesday, a black uniform was suspected and this is what we have. This new jersey appears to be a simply recolored version of the team’s standard uniform. Essentially, the 49ers have taken the base of their white jersey and made that black. The red numbers, names and stripes remain. Considering that the team’s logo features black and nowhere else on the standard uniform uses black, this seems to be an odd choice. But given the trend of what alternate uniforms look like in the NFL (and the popularity of black jerseys), this was the only logical direction. A gold alt would have been too difficult to mass produce and it would not look great with the team’s current gold (more like khaki) pants. But they added a gold Nike swoosh on the sleeves. So there’s that for color diversifying. Adding a black jersey will diversify and grow the potential merchandising opportunities. The team did not go with adding a different red jersey. They went with a new color, which will be a hot sell no doubt among fans. The 49ers have never worn an alternate in their entire team history. They have worn throwbacks, but alternates are made specifically with the intent to have a different option during the seasons (along with the merchandise sales). Per NFL rules, alternates can be worn a maximum of two times during the regular season. The 49ers will be introducing the team’s first alternate uniform in franchise history. The 49ers last made changes to their uniforms prior to the 2009 season, when San Francisco reintroduced the classic color of the 49ers, alongside the return of the grey facemask to the helmet. The new alternate uniform was the result of a coordinated effort between the 49ers, their players, Nike and the NFL. This is not a surprise. In fact, this was in the works in 2013. I’ve been watching the news and just watching the devastation to the city of Baltimore. The pain in the voices of those who feel betrayed is haunting. The unnecessary violence on the streets is frightening. What should be a time of recovery has turned into a time of fear. As a sports writer, I have to see how the sports world is reacting to this and for the most part it’s been very good. I like the decision made by the Orioles to postpone the first two games of their series against the White Sox and then to just play the last game without any distractions. At this point, the league knows they have to get these games in and doing them without risking the safety and common sense of the whole situation is well done. Still, it’s terrifying to see this happen. It happened not too long ago with Ferguson. It will continue going on when another injustice arises and the trust of the public is betrayed. For a country built on freedom and the product of the best melting pot of different people, we still can’t seem to find a way to care for one another and love one another. Instead, these injustices seem to happen. And even when something may or may not have been done wrong, our reaction and the decision to riot destroys and kind of fairness to each other. I pray for this to end, but I fear that we haven’t learned a thing yet. Violence in reaction to violence is never the answer. You know what I did last night? 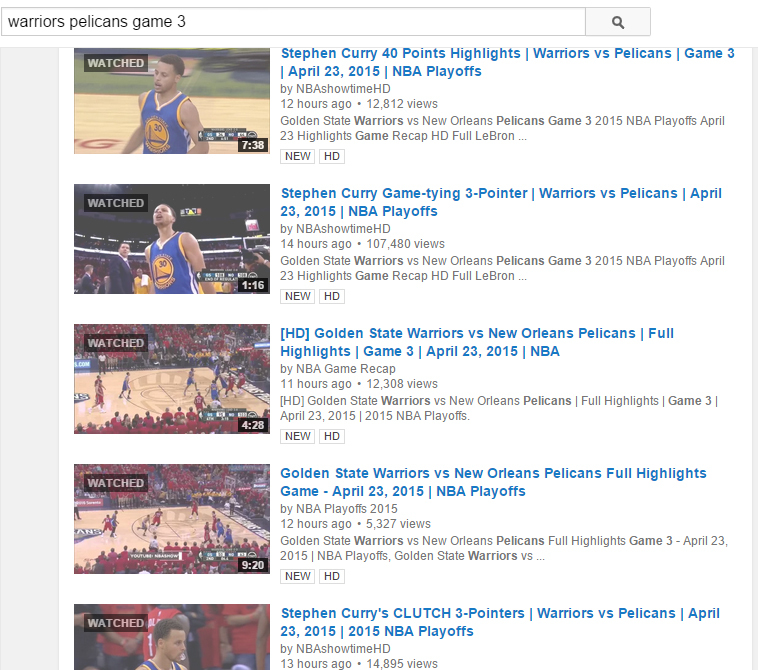 I stayed up on YouTube and watched the Warriors’ comeback win on YouTube. Over and over again, I watched every single highlight video of the game. I watched Stephen Curry’s miraculous three-pointer over and over again. I sat in awe and just could not believe that the 20-point comeback happened. That the Pelicans would freeze up late and the Warriors were able to claw their way back in. I was in amazement seeing a team that was tested and they delivered. I saw the future MVP blossom. A saw a team with high expectations meet those expectations. Should Draymond Green have won Defensive Player of the Year instead of Kawhi Leonard? I’m sitting here thinking about this and trying to figure out if Leonard was the best defender this year. Statistically, Leonard had a great year. He had a year that was worthy of consideration. But what makes Green the better defensive player was his versatility in shutting down so many different players, going from point guard to center in his defensive assignments. I know I am biased, but this is still a one that I can’t really put my finger on. This isn’t like one of those cases where the winner was a complete unworthy candidate. Leonard was a good candidate. But I can’t say he was the better defensive player. At least not in what kind of versatility he provides. Even though Green received more first place votes, it’s the total amount of points received that makes the difference. But still, Leonard is a good choice to win the award. I just don’t think Green should have lost it. It’s disappointing but not one I can argue too much about with both candidates worthy of the award. I love this video. The loud crowd. The long distance shots. The intensity. E-40. And an impromptu break dance session outside the arena. Can’t get more Bay Area than this Warriors video. 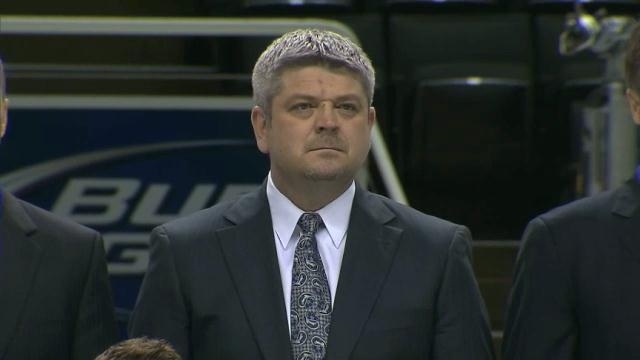 Was Todd McLellan really the problem here? This comes as no surprise and it was expected for the Sharks. After a disappointing year and many early playoff exits, something had to change. The ending to McLellan’s tenure in San Jose started last offseason when the team didn’t make any significant moves to improve the roster. McLellan was not going to make a great run in the postseason with what he had. So this ending isn’t a surprise. But should McLellan be the scapegoat? Naturally the thinking for many fans is that the general manager Doug Wilson is the one at fault and he is the one at blame. He assembled the roster and didn’t make any major moves to improve it. And when Joe Thornton called him out, it really painted a picture of potential issues within the organization. So what happens here? I don’t know but it’s tough seeing him go. Even though I expected it, it’s not easy saying farewell to a coach who brought so much success to this team. But for the Sharks, they have been holding on to the same roster, same coaching staff for so long. A change had to be made. This might not have been the change they had to make, but it was the change they needed. It was time to move on.